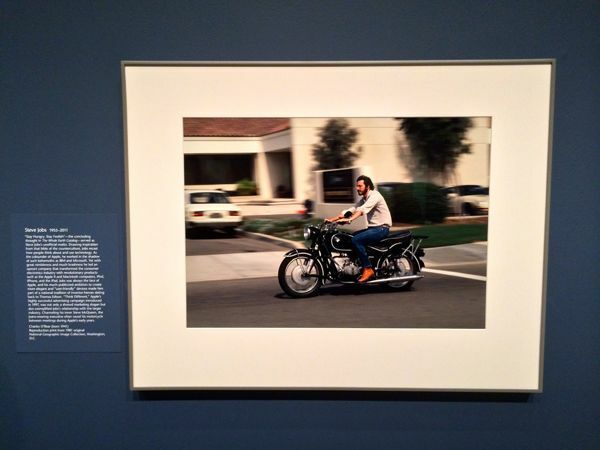 To coincide with Steve Jobs’ appearance in the National Portrait Gallery’s new “American Cool” exhibition, Cult of Mac had the opportunity to speak with Charles “Chuck” O’Rear — the photographer who took the 1981 portrait of Jobs currently on display. O’Rear, 73, recalls Jobs being aloof and preoccupied but — despite being young (he was just 27) — carried a real aura that this was someone who couldn’t be ignored. This was the year after Apple’s December 12, 1980 public offering, when shares in the company went on sale at just $22. O’Rear was struck by Jobs’ age, authoritativeness, and drive. 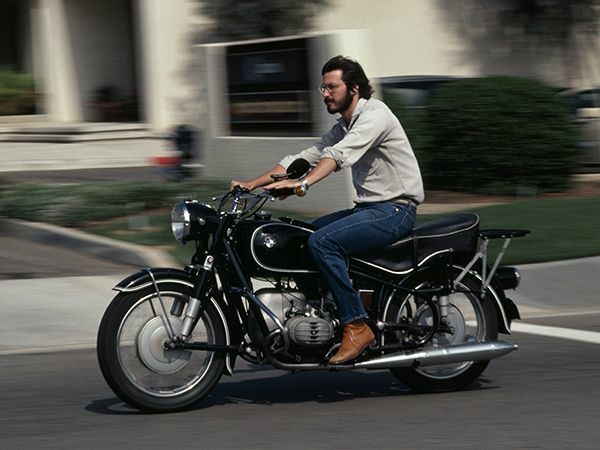 Unlike most of the other people O’Rear photographed for the project, Jobs insisted on being shot riding his 1966 BMW R60/2 motorbike — without a helmet, of course. “I asked him where he wanted to be photographed and he said, ‘Well, I ride my bike to work every day so let’s take it on that,'” O’Rear says. The article — titled “High Tech, High Risk, And High Life in Silicon Valley” — appeared in the October 1982 issue of National Geographic. Steve Jobs is pleased with the falling prices [of personal computers]. He hopes that his computer will become the Volkswagen of the industry, the computer every family can own. The 27-year-old co-founder of Apple Computer, whose typewriter-size instrument is pioneering the incorporation of the computer into daily life, bristles a little, too, as he reminds, “We’d rather call the Apple a personal than a home computer.” Although 1981 and 1982 have been the “years of the personal computer,” with giants like IBM jumping into the market and about two million now in use in the United States, predictions that computers would be the nerve centers of our homes by the early 1980s have proved premature. O’Rear ended up photographing Jobs “several more times” — including a shoot for Fortune a couple years later, and another promo image taken with the Lisa computer.